Kiss all other breakfast sausage goodbye! Old Major breakfast is going to turn your breakfast experience up to 11. We use a unique blend of sage, thyme, course ground black pepper and some other magic goodness all blended with Indiana pasture-raised pork. This is uncased sausage so you can make your breakfast patties any size you want. Buckle up. 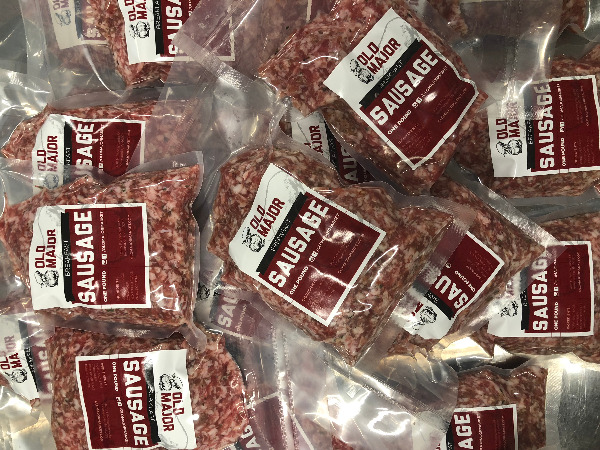 Old Major Breakfast Sausage is uncased and comes in 1-pound packages. Q: Is there any sugar, corn, or gluten in your sausage?